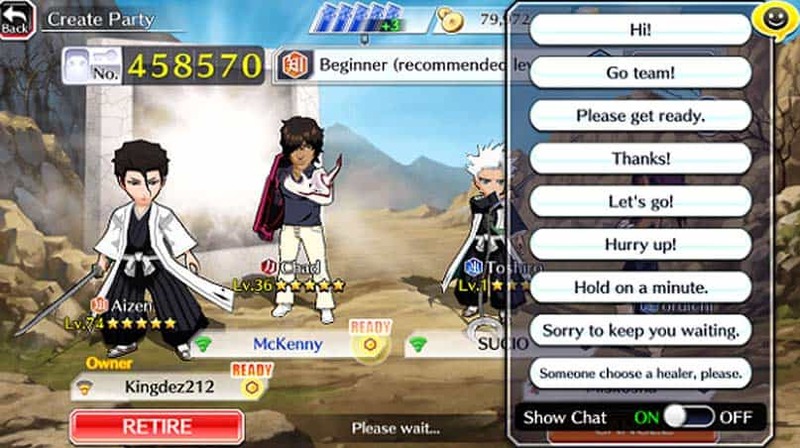 Bleach Brave Souls Guide for Newbies (Updated!) | Nerd Much? 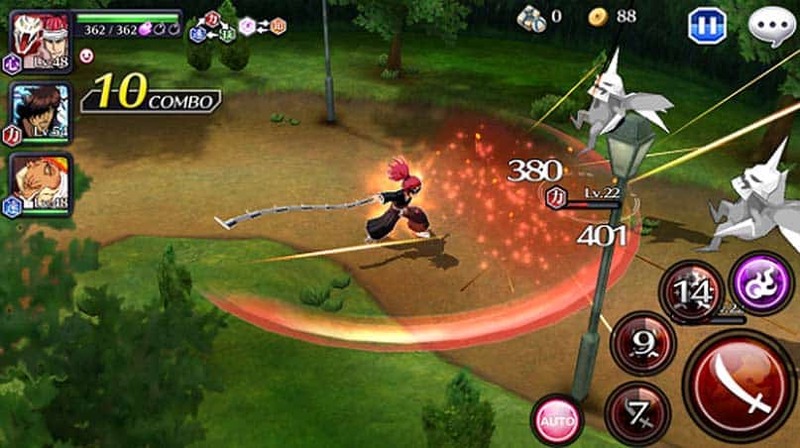 Bleach Brave Souls is one of the rare mobile games that actually features the popular anime Bleach. It is a hack and slash action fighting game. 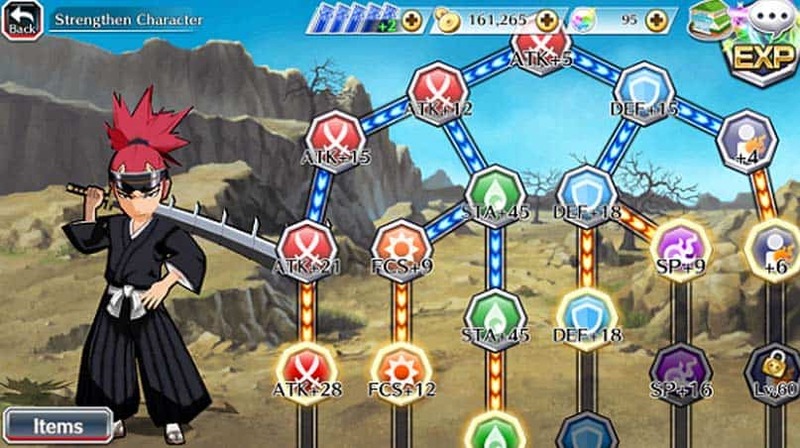 Initially, you get to play as Ichigo and you follow the story of him turning into a Soul Reaper after Rukia has given him some power. The fighting system is very similar to Soul Seeker and requires you to acquire higher star characters to advance further into the game. Most games like this will normally require a huge paywall to really become powerful, but thank god they made it quite easy to attain “Spirit Souls”, which are gems that is bought with real money. That means if you are willing to spend time playing, you can be a free to play(f2p) player and still be able to keep up with the paying players. Power > Technique > Speed > Power. Heart and Mind have advantage over each other. All characters in the game will have various star levels, ranging from 1 to 5, with 5 being the highest. You are unable to fuse 2-star Ichigo into a 3-star. You have to summon him via the summon shop. Each summon costs 25 spirit orbs and if you save up 250 spirit orbs, you are guaranteed to get a 4-star character. A 3-star or higher character has more skills and can activate their specials during battles. When you complete any story mode and finish all objectives, you get 5 spirit orbs. This means you are able to get 250 spirit orbs fairly quickly if you choose to save them up. The same goes for special events. For PvP, you only get a maximum of 10 battles a day. You have 5 initially but if you complete your daily quests, you get an additional 5. Co-Op battle is the best method you can use to not only get accessories in the game, but also farm spirit orbs. For every new player you team up with, you get 3 spirit orbs. That is a whopping 9 spirit orbs per Co-Op if you get 3 new players every time. It is currently the best way to farm spirit orbs for f2p players. 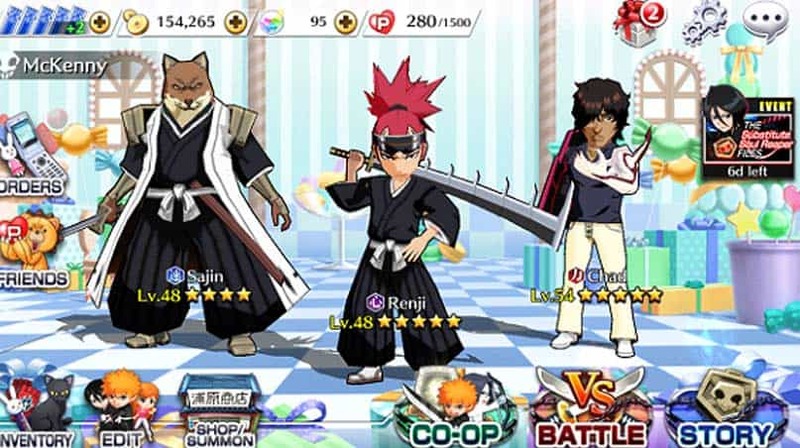 Do keep in mind Co-Op requires good connection in order to have a good and fun experience. Often times, people will disconnect and you are left to finish the map with either 2 or 3 people. It helps if you are higher level than the intended map. However, if you can’t solo the map, then the odds of you finishing it is quite low. This is the upgrading process that strengthens your characters. I suggest only upgrading 4/5 star characters. If you happen to get Mayuri, keep this guy. He is excellent in high level Co-Op battles and can kill bosses easily with his poison. Soul Tree improves your character’s stats with the use of various crystals, which you can get from doing story mode or events. You can by-pass the grinding by using spirit orbs. Accessories can also be equipped here to further boost your power. Most mobile games give daily rewards for logging in and BBS is no different. They are quite generous with their gifts, so make sure to login daily, even if you don’t have time to play. At the start of the game, do your best to resist the temptation of summoning once you get 25 spirit orbs. Save it for the 250 spirit orb summoning. Work with what you get. Your first 10 summons will determine who your best characters are. For me, I couldn’t pull Ichigo and got Renji, Chad and Sajin instead. I have been leveling them and they have helped tremendously. Always finish your daily quests for extra soul tickets and PvP passes. Your PvP rank will determine how many gold medals you get, which can be exchanged to get special characters like 5-star Don Kanoji and many more. Once you have completed normal story mode, try your best to spend your remaining soul tickets on Co-Op battles. It is the most reliable way to earn consistent spirit orbs to keep on summoning good characters. Once you have 3 solid fighters, you can consider using spirit orbs to get 1 to 3-star accessories instead. This way, you can further improve your team stats and that helps you out a lot, especially in hard mode. Try to focus on leveling 3 or 4 characters. Spreading out your experience to too many characters mean they will be weak in both story mode and PvP. Don’t forget to Soul Link your best characters with 1-3 star characters for the bonus stat boost! This is a solid game and the first real-time Co-Op I have played on mobile phones. It definitely has potential and once they iron out the frequent disconnects, this game will be even more popular than it already is. You are welcome to drop by and say hello or talk about gaming and entertainment.